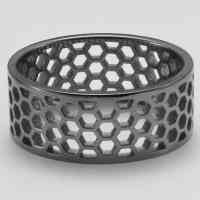 Understated, elegant and the only piece of jewellery you will ever need, our two row honeycomb ring will soon become a stalwart of your wardrobe. Wear it with your best 'Fintech' outfit with a suit and tie or even at the week end. 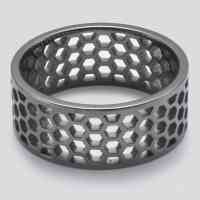 Design your own Two Rows Honeycomb ring to suit your personal style. 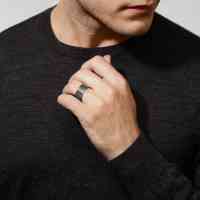 Choose from black rhodium plated silver or sterling silver for a unique piece of men’s jewellery.